Rent McMenamins Cornelius Pass Roadhouse | Corporate Events | Wedding Locations, Event Spaces and Party Venues. 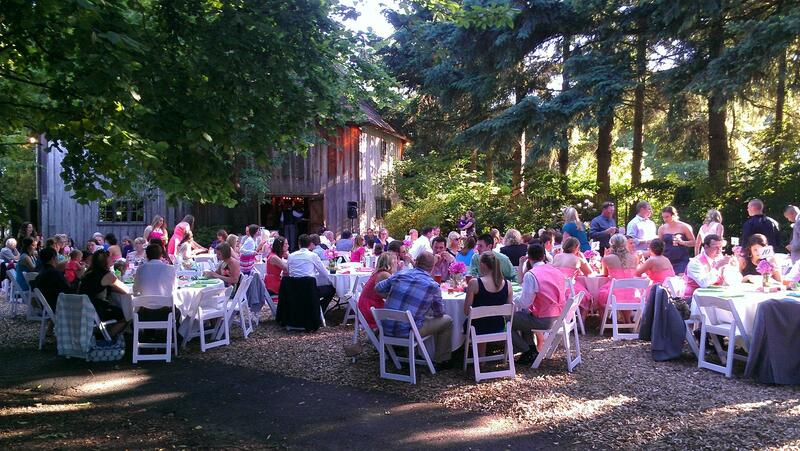 Cornelius Pass Roadhouse & Imbrie Hall, rich in early Oregon heritage, is an unexpected and charming setting for weddings, private parties, receptions and more. Hold your special event in the beautiful Octagonal Barn (one of the few such structures left in the nation) or the venerable Roadhouse itself, an 1866 Italianate home full of original artwork, Victorian-era furnishings and ornate fireplaces. Outdoor meadows with lush flora are ideal for weddings and summertime parties. The property offers on-site parking so that your guests are easily accommodated. Our indoor and outdoor event spaces accommodate groups up to 400, while special property-wide arrangements can be made for groups up to 1000. One of a handful of McMenamins locations to accept dining reservations, the place serves up lunch and dinner seven days a week — and the dining moves outdoors during warmer months, too. Special events occur year-round, be sure to check out the upcoming events calendar.